Apple’s freshly launched iPhone XR and iPhone XS lines have hardware support for dual SIM configurations, but the rollout of the feature has been a bit delayed (or in the case of AT&T, rolled back) due to issues with carriers that have not been totally sorted out yet. Verizon, however, is reportedly planning on supporting the feature by next month. Currently, the iPhone does not support high-speed Verizon service when used in a Dual SIM configuration, dropping down to the 2G CDMA network rather than LTE. This was especially problematic in certain geographies where Verizon has switched to offering LTE-only coverage. As a result of these limitations, Verizon said it would not be activating service on any eSIM nor officially support Dual SIM activations. At the launch last month, Verizon said they believed the software limitations would be resolved quickly with Apple’s cooperation. This latest memo indicates that it will stick to its promise and deliver eSIM and Dual SIM to iPhone XS and iPhone XR customers before the end of the year. Note that the phones only support one eSIM and one physical SIM card slot outside of China, meaning that at least one of the lines will need to run through the eSIM slot. 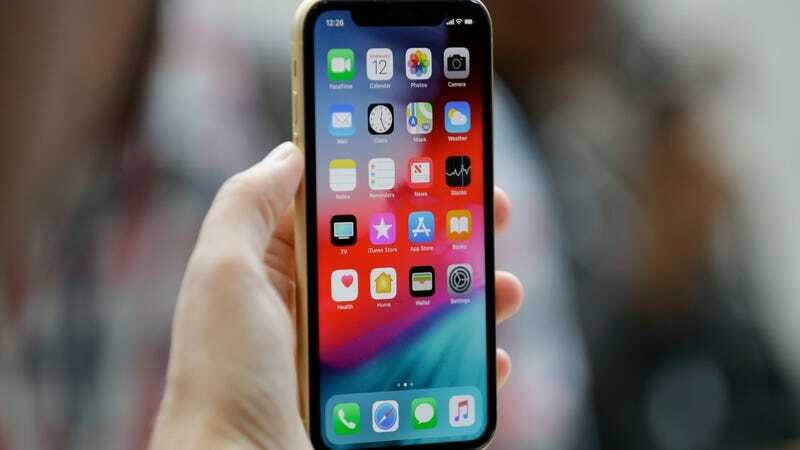 9to5Mac noted that the projected early December date is likely to refer to the release of iOS 12.1.1, when a software update to make the dual SIM feature play more nicely with U.S. mobile networks may be rolled out alongside other features. However, the feature could also trickle out bit by bit via carrier-specific updates; per the Verge, AT&T and T-Mobile are still sorting out bugs with an unclear timeframe for a resolution. If you find the idea of using two SIM cards for anything but traveling to a foreign country somewhat unfamiliar, survey data shows you’re probably not alone. As VentureBeat noted, few U.S. customers use dual SIM configurations, though it is more common in Asia and Europe, where many people use two SIM cards to toggle between work and phone lines and national or international carriers. Lack of support for dual SIMs was considered a barrier to expanding market shares in some regions, and VentureBeat reported earlier this year that dual SIM support had been under consideration as a China-exclusive feature.